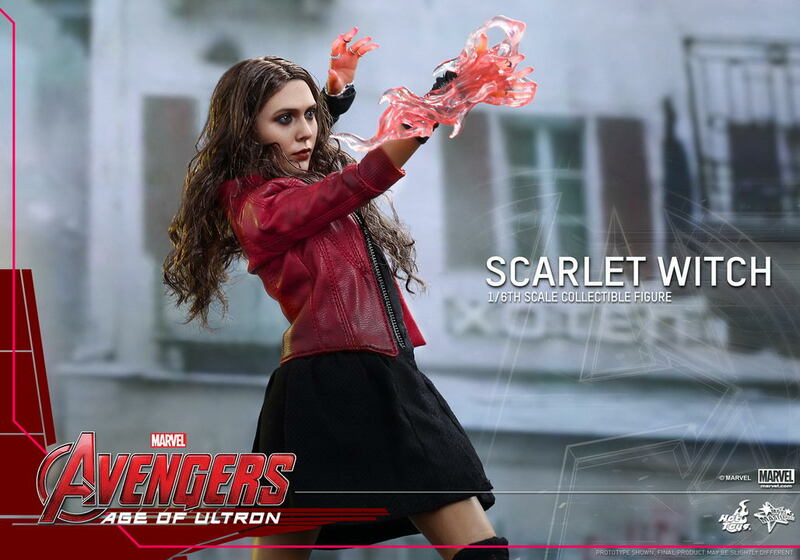 In Marvel’s Avengers: Age of Ultron, Wanda Maximoff a.k.a Scarlet Witch has undergone experiments by HYDRA to obtain superpowers in neuro-electric interfacing, telekinesis, mental manipulation and became a “secret weapon” of the evil organization. 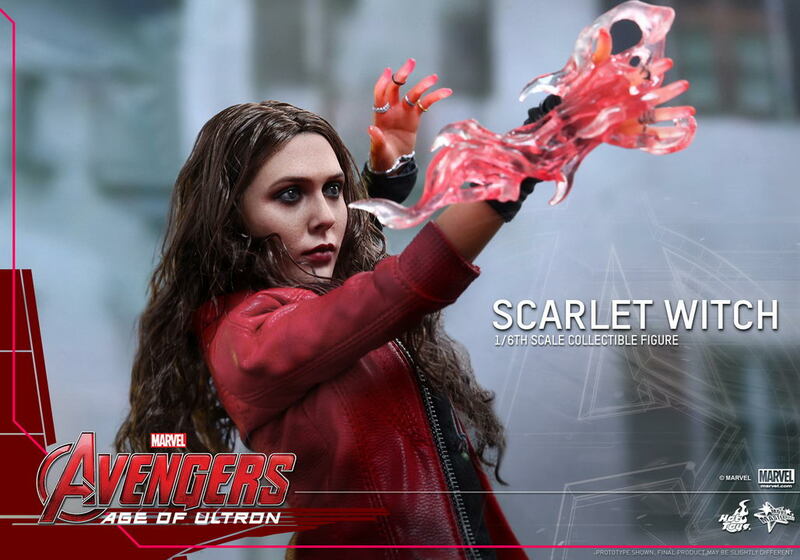 When HYDRA fell, she joined Ultron to get their revenge on Tony Stark, but eventually allied with the Avengers to help stop the artificial intelligence when they discovered Ultron’s true intentions to wipe out mankind. 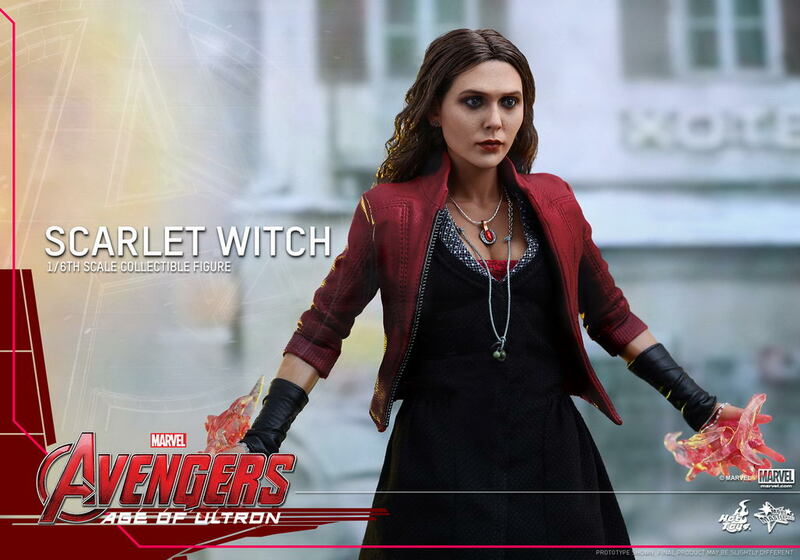 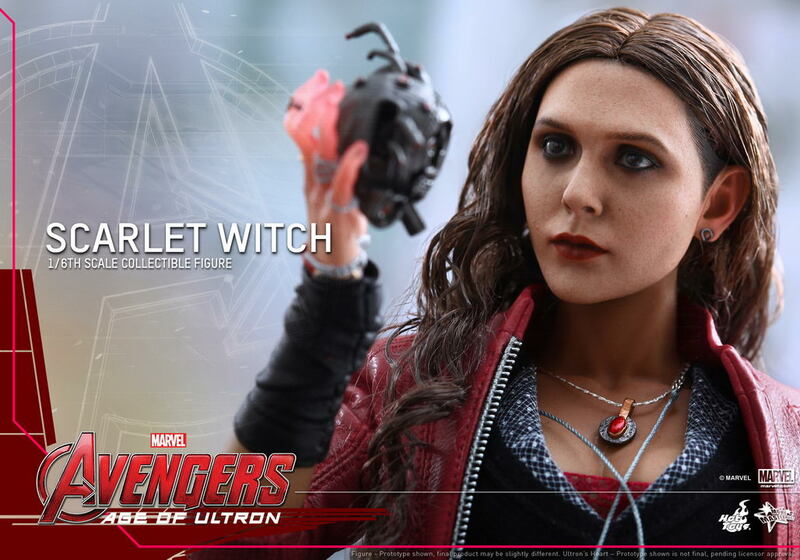 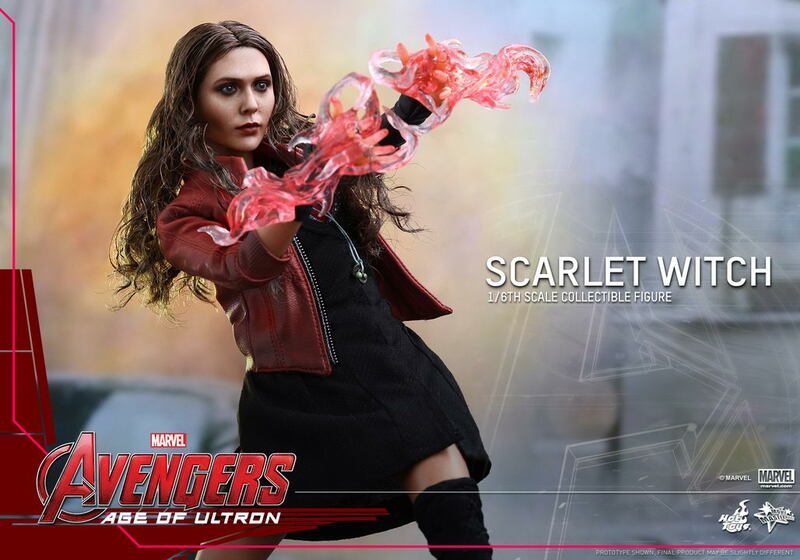 Today Hot Toys is pleased to officially introduce one of the new stars of Avengers: Age of Ultron – the 1/6th scale Scarlet Witch Collectible Figure! 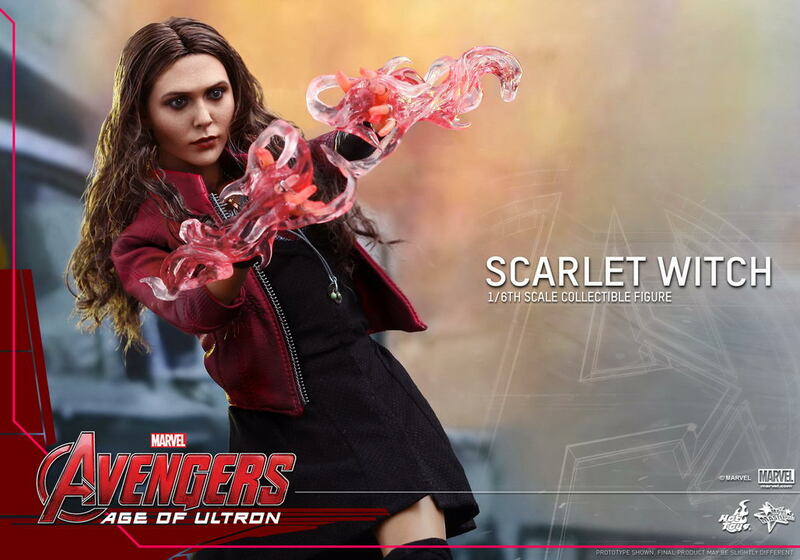 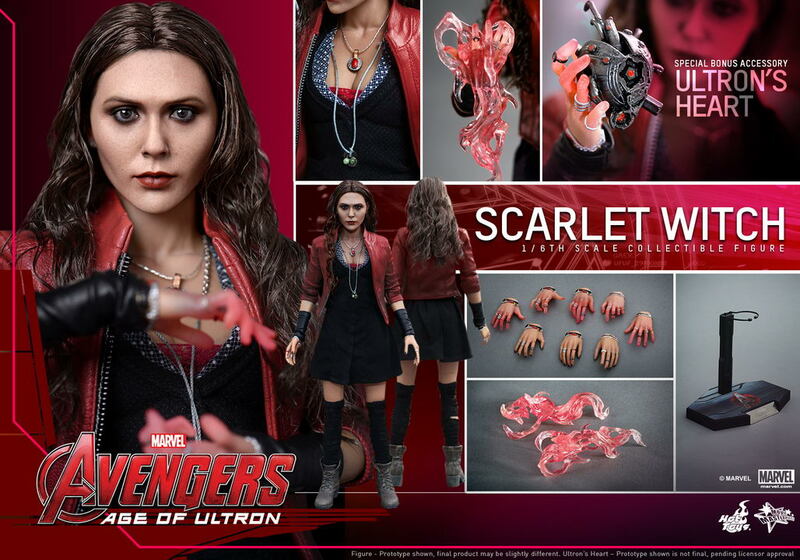 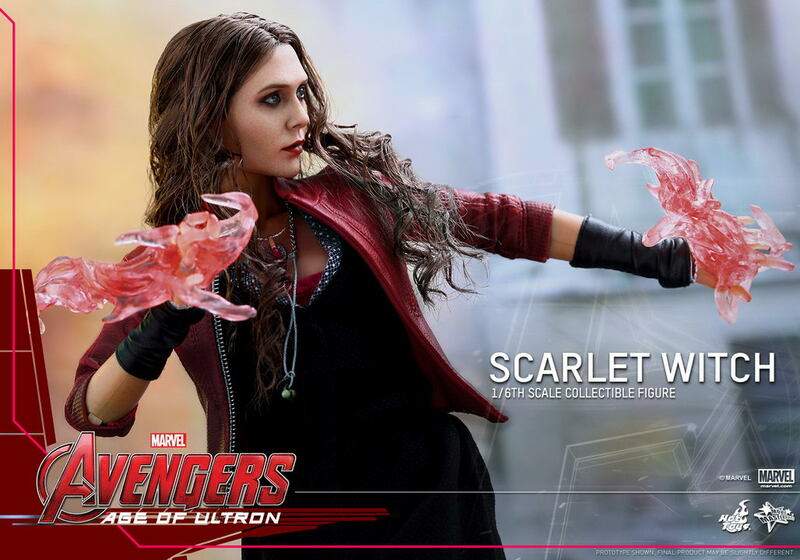 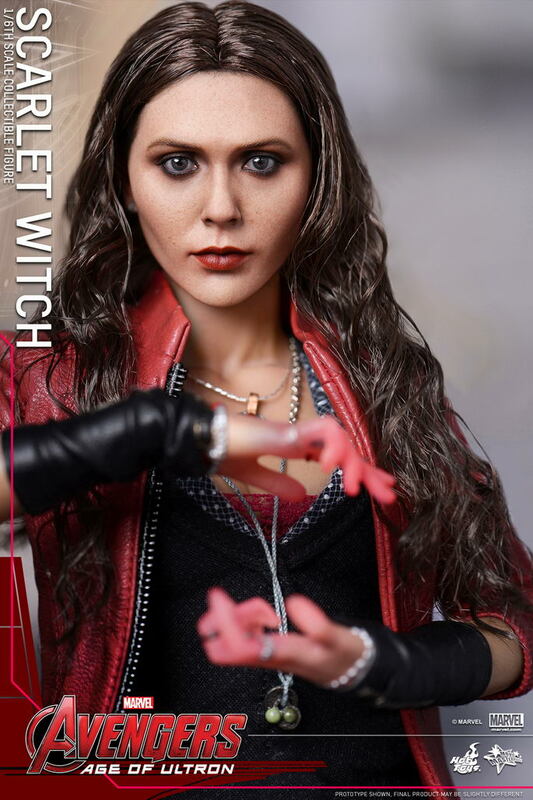 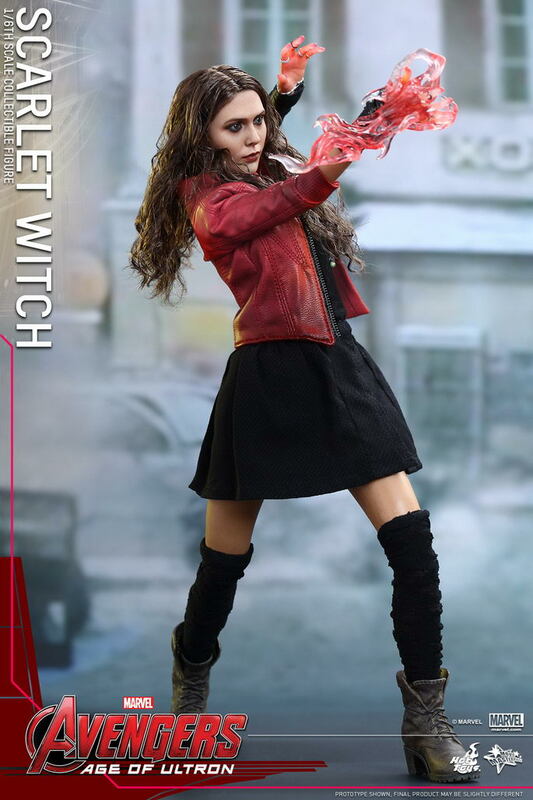 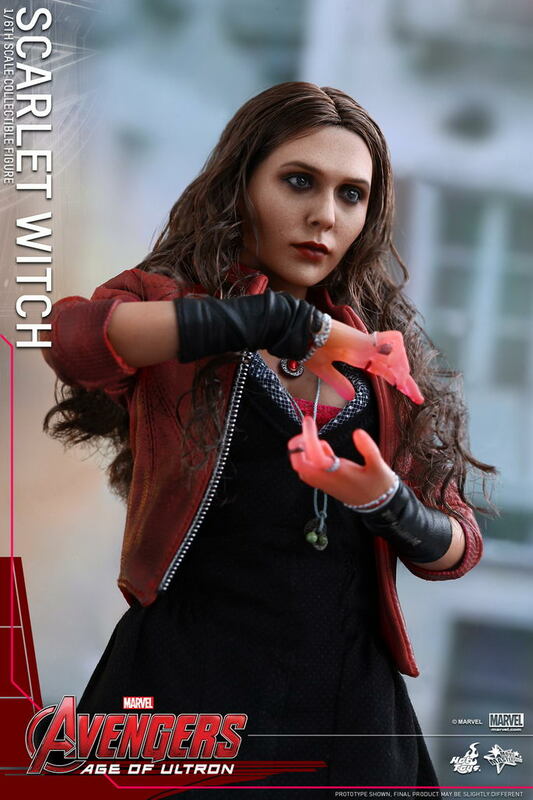 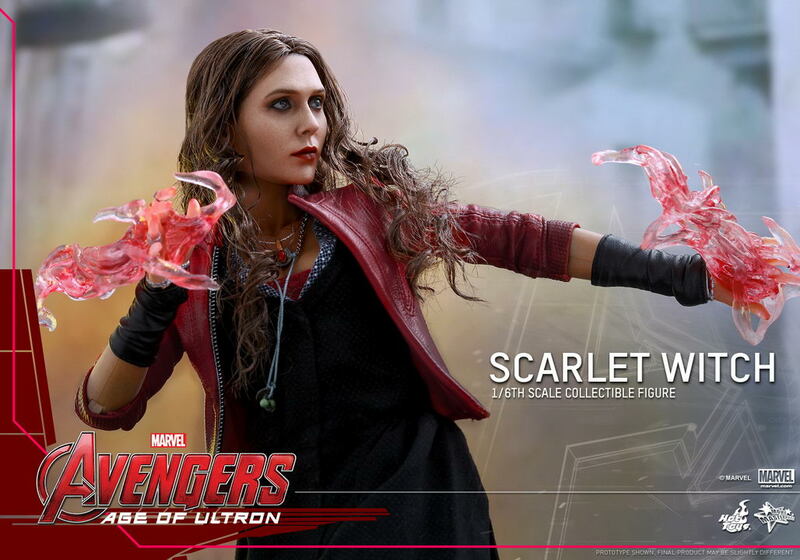 The movie-accurate collectible is specially crafted based on the image of Elizabeth Olsen as Scarlet Witch in the film featuring a newly developed head sculpt with long curly brown real fabric hair, finely tailored costume, specially created hands with red translucent fingertips and effect accessories to emulate Scarlet Witch using her powers. 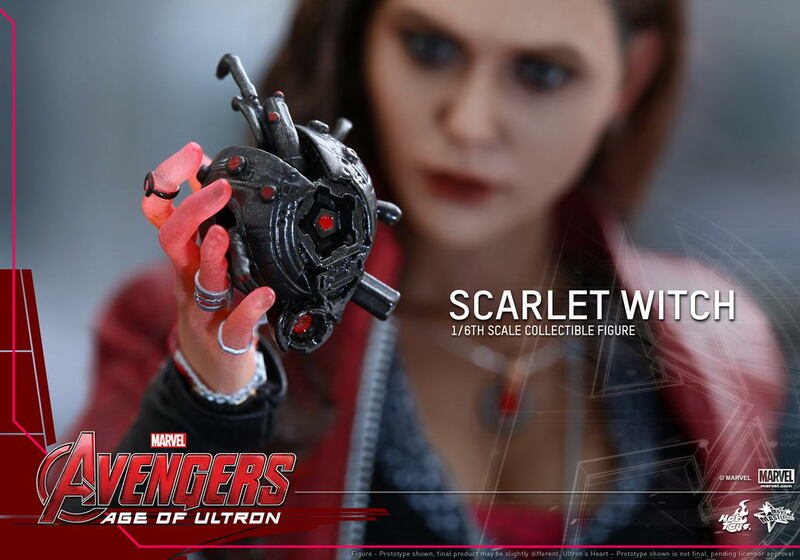 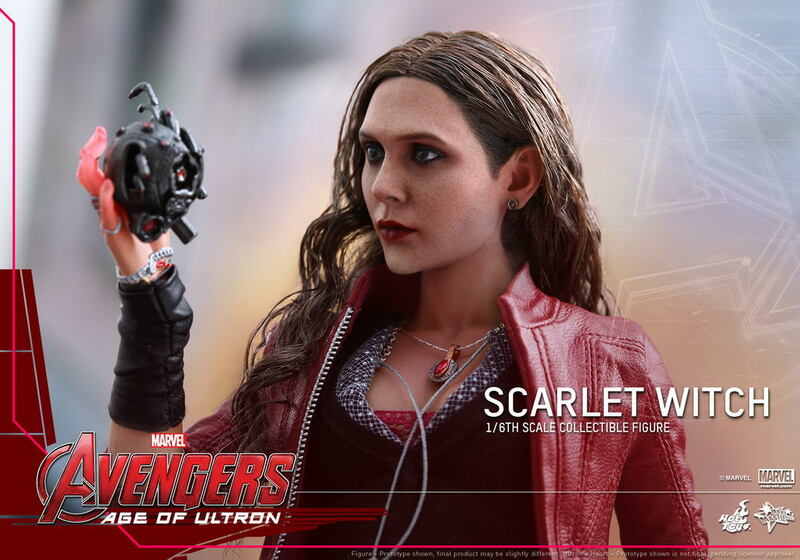 Ultron’s heart which Scarlet Witch has taken from the robot’s body is also included as a special bonus accessory!